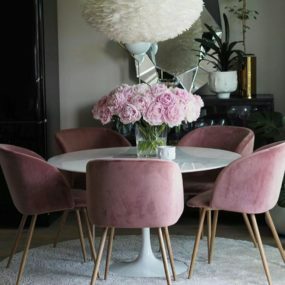 While floral has become such a huge part of trends, it’s still seen as a feminine detail, but thankfully there are ways you can create a stunning dining room space with a floral touch that is neutral enough that it works for both. 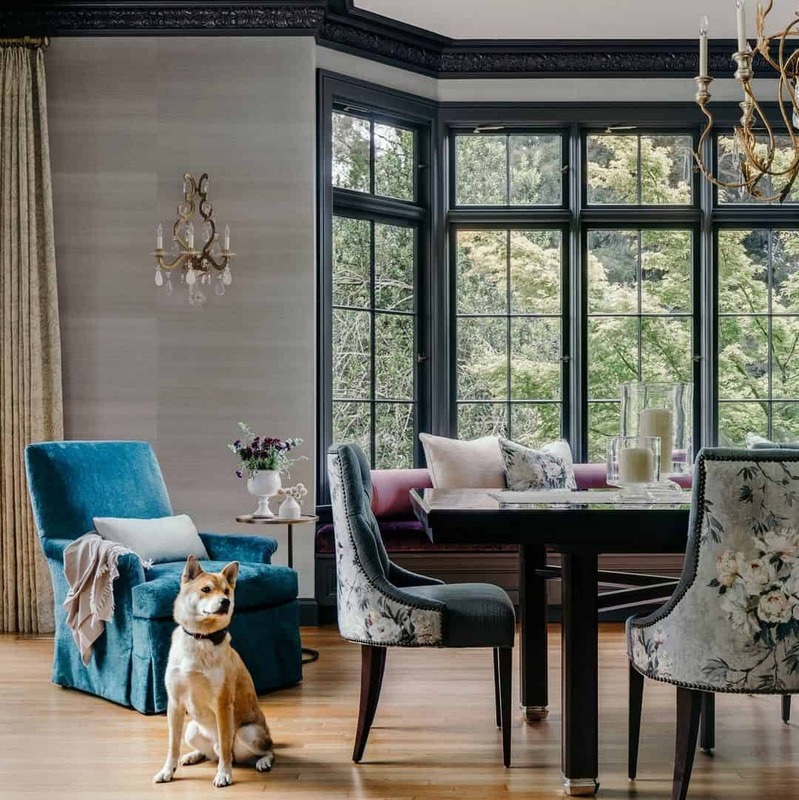 With that being said, here are our favorite stunning dining rooms with a floral touch that is chic and works well for everyone. 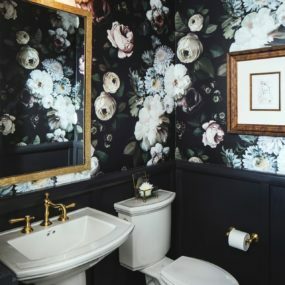 Darker florals work well because of the dramatic effect they have in the room. Whether your room is big or small the richness of the wallpaper will enhance the room automatically. When we think of florals most of us immediately imagine light pastel hues; however, the truth is florals come in an array of colors and even patterns. 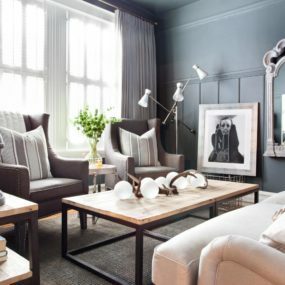 For more masculine or simplistic features go for darker florals. Darker florals bring a bit of an edgy feel right where you want and need it. 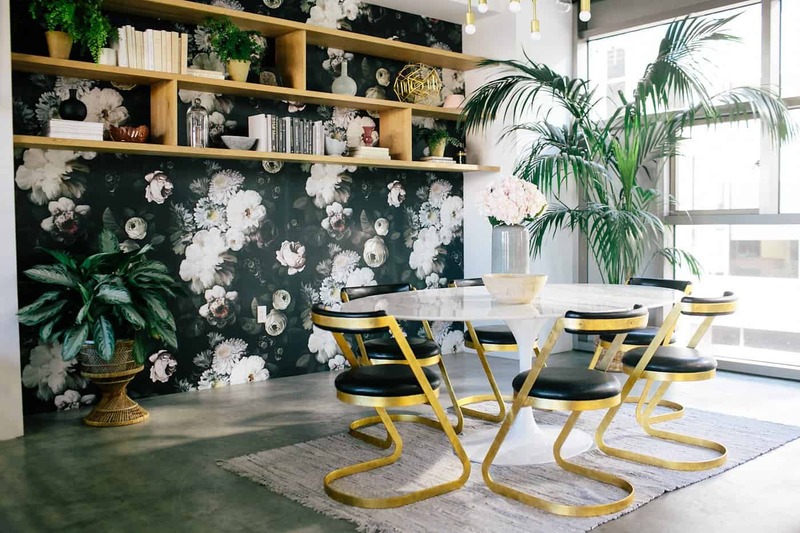 Your floral wallpaper should blend seamlessly into the room! Having this feature allows you to work with the space and the color palette you desire. 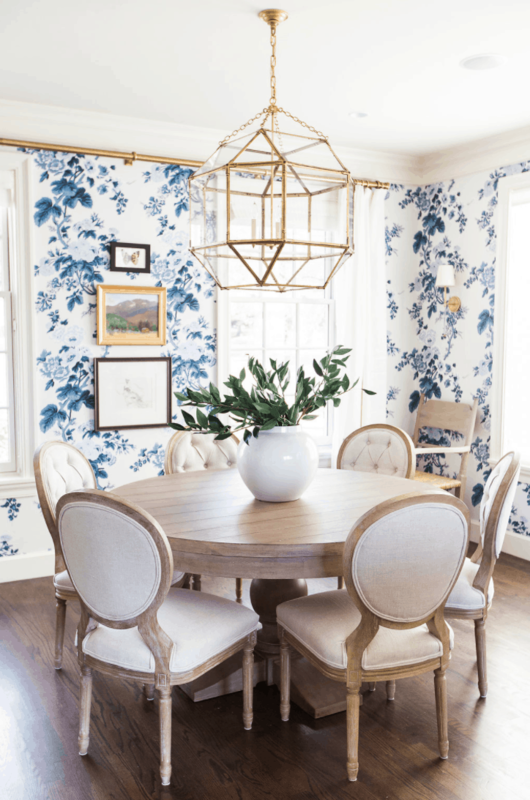 Wallpaper is always a good idea, particularly in the dining room. With that being said, go for a daring, repetitive wallpaper that brings beauty to the room without taking away from it. 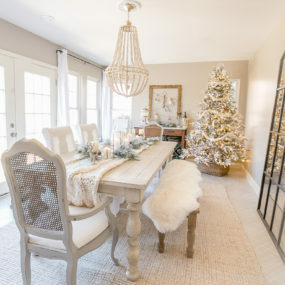 For a bold statement add a floral arrangement in the center of your dining table and give it a pop of color by pairing it with hints of natural green throughout. If you simply want to add a floral bit to the room and remove it whenever you choose to do so a floral arrangement is a way to go. 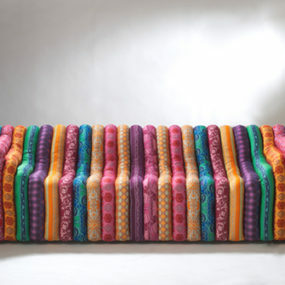 Consider having a large one with colors that work well with what you already have in the room. Seat covers can always be changed so when selecting them make sure you go for a bright cover as it will brighten your room seamlessly while making a statement. Yes, you read that correctly seat covers are coming back in style and we are absolutely loving it! Not only are they versatile, but they can be changed at any moments notice. Choose a cover that has a functional color element to it for the best outcome. Brighten a dark room with fresh floral curtains. You might want to consider mixing and matching two curtains together to create one seamless approach. 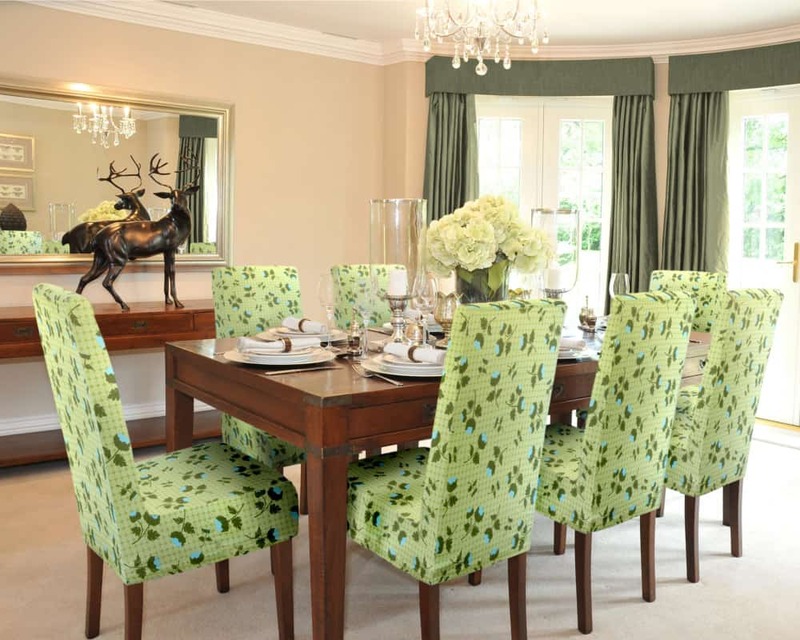 While not all dining rooms have curtains if yours does its time to take full advantage of them with curtains. Curtains are the perfect way of bringing a grand appeal to your dining room. 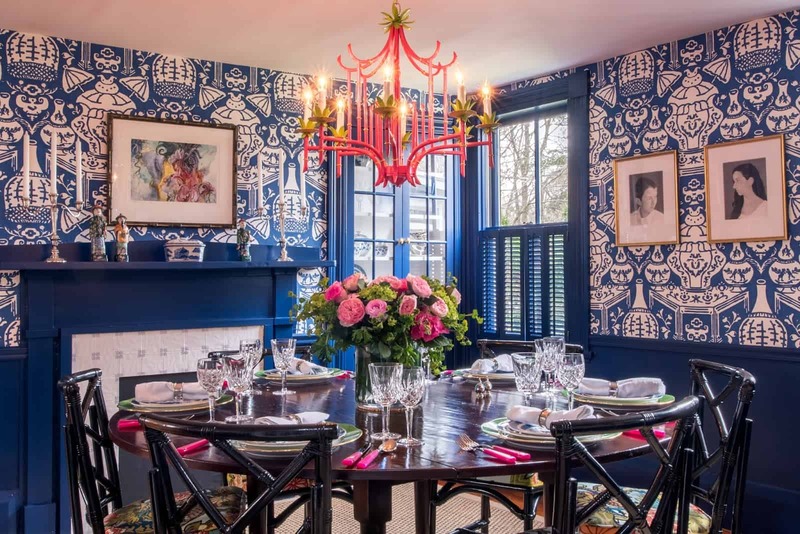 Add bold curtains with a floral pattern for that big punch of color. A flower pendant light makes a huge statement on its very own, which is perfect for a room that needs a hint of beauty. Pendant lights come in multiple different sizes. Furthermore, some of them come in a floral shape; therefore, add a floral pendant light fixture to bring beauty and a floral hint without taking away from the overall appeal of the room. 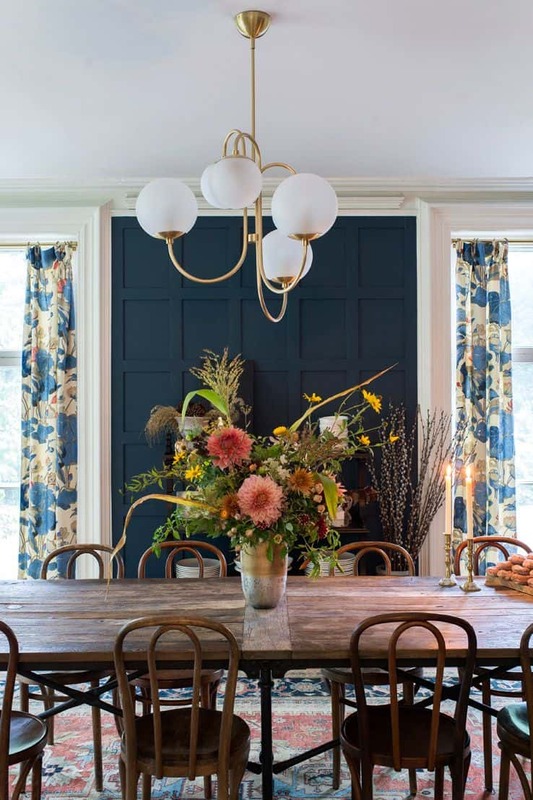 Whether you use one color or multiple colors when you’re working with florals you want to add a pungent element and allow it to be the focus of the room. 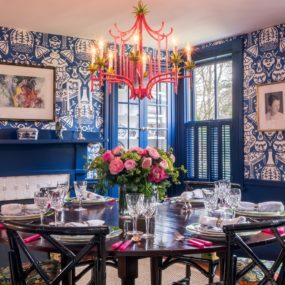 A bold floral element is the best way to ensure you gracefully create that floral touch in the dining room without taking away from it. 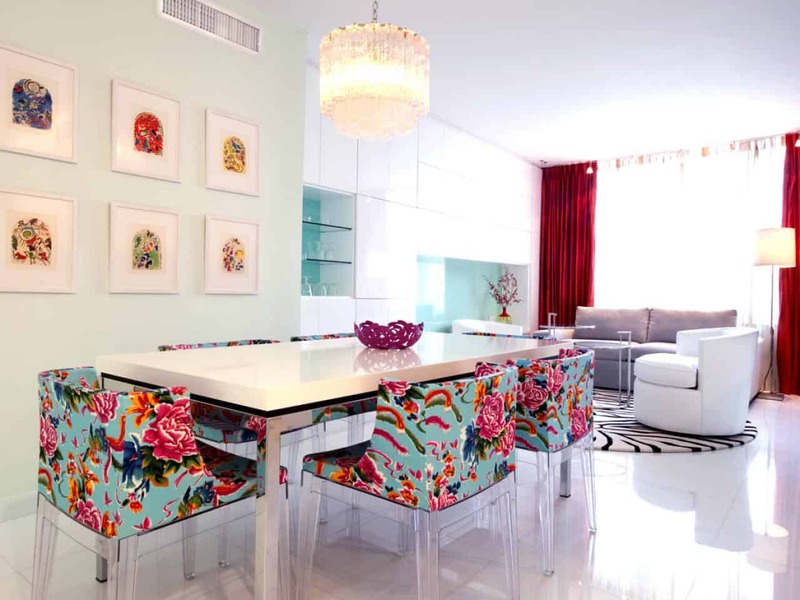 Daring and bold colors force you to embrace the surrounding space and have everything you need around it. If you have an accent chair already consider adding another to further brighten up the room and give your dining space much-needed texture. 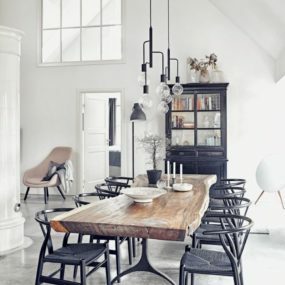 Even though accent chairs aren’t as common in the dining room, they are an excellent addition to them. The idea is to add one or two accent chairs and have them make the floral statement you have not been able to make. A large flower rug could be exactly what your dining room needs for an added layer of color and texture. When in doubt, add a rug. A rug will always bring color and texture to any room that needs it. 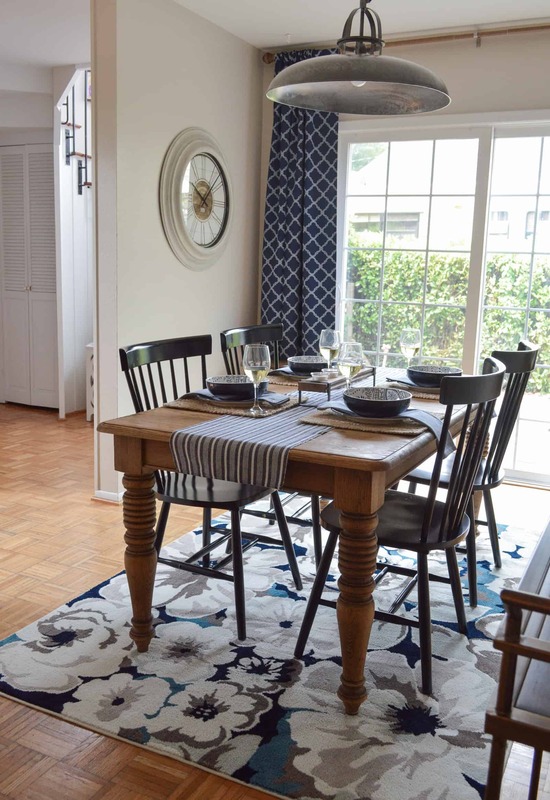 Consider layering your rugs if you would like to add an extra hint of color and appeal. Gallery Images Create a gallery with floral images that make sense to the room. Doing so will bring a little something extra to make the space come back to life. Is floral décor something you want to try at home? Share with us your ideas below.